So it's the end of summer but I did have a chance to make a short summer montage that was used in a performance with my music partner Nate Masters. The performance was part of "Thing A Day," a project designed by Nate Masters to entice artists to make a thing a day. So everyday in June we challenged ourselves to make a work of art a day. I loved this idea of making something even if it failed everyday. I want to say I contributed everyday but really it was only a few times through out the month, but the exercise was worth it. The "Thing A Day" artists put together a show in Newport News, VA on August 18 and showcased several artists that had contributed to the project. I put together my performance in one day , so was truly a "Thing A Day" project. Below is footage of the performance as well as Summer Lemons. My son Malcolm Rowley made the music that accompanies the video. I can't believe the summer is over. Will be uploading a new Lemon Story to celebrate back to school. New Story with Lemon: "Lemon and His Emotion Faces"
Alex discusses his emotion faces with me. So much variety in how he perceives his emotions. At 4 he is struggling still to express himself and to control and learn about his emotions. Fire Face, Water Face and oh yes Electric Face. Made this with Malcolm today. I'm feeling really down and wondering how art can be a response to what is happening in the world. Especially when you don't really make socially charged art? Art asks questions and so do my kids.... a lot of them. Strolling through social media I'm painfully struck by images of kids being separated from their parents at the border and can't imagine the pain of what is happening. In talking to my oldest about the situation he became so affected by the idea, the conversation grew into a talk about how he could make a difference. He's 8! He wants to tackle the world. More power to him! =-) So in thinking about this I wanted to create something with him today. A fence, seeking, separation, frustration, touch and peeking. I'm working on a series of Stories with Lemon with my kids. Here are a few little clips we have put together. I'm experimenting with film and giving a lemon a life. Working on new pieces, dance, choreography and film involving my life with my lemons AKA my kids. My kids inspire these projects as I look at their sweet and sour, layers of their personalities as well as my feelings of letting them go and pushing them to move forward. Under the Lemon Tree is a choreographic piece I've been working on since the fall. It's gone through various stages in performance and this is the newest one performed on June 2 at the Next Reflex Dance Collective Concert at the Workhouse Arts Center in Lorton , VA. I feel like this piece is still evolving so more to come. This footage is from the Live Feed on Facebook. My long time music collaborator and friend Nate Masters, crafted the music for the work . It is also evolving as the choreography changes overtime. Check out this work below. "Stroller Dances" premiered at Drone Strike this past weekend! Check out the video here. That's right folks I am diapering and rocking a bag of flour while sporting a cape , sunglasses and smuggling two lemons that get juiced. Eggs are whisked, dough kneaded and flour dumped from a diaper. Drink the fresh juice it's showtime! Thanks to Nate Masters who improvised and performed musically with us and to Katherine La Puma my beautiful dancer in crime. The video is taken from the live feed from the performance . 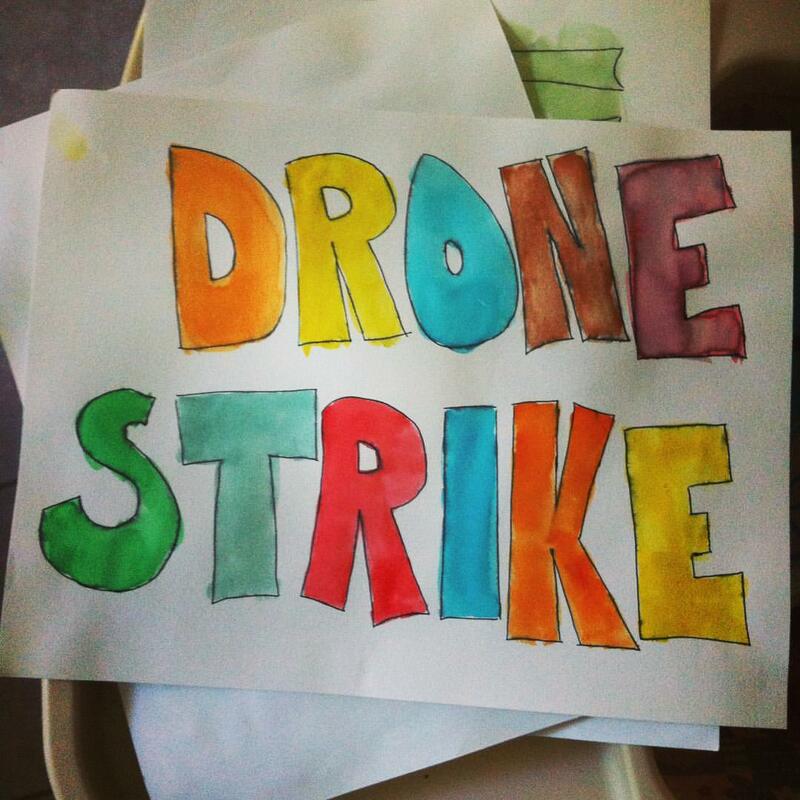 Stroller Dances premier at Drone Strike! Check out my first Stroller Dance performance this weekend at The Shed in Durham, NC. 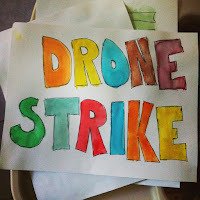 Drone Strike happens, it just happens ... shows up and takes you by surprise with experimental music and dance and whatever else Mr. Masters puppets together. If you're in the Durham area I hope you check it out. It will prove to be a great show. Tonight September 16 at 8pm at The Shed . Stop the stroller! Park it! Stroller Dances is an on going choreographic project and blog centered on life as an dance artist and mom.